No more unsightly piles of cord. 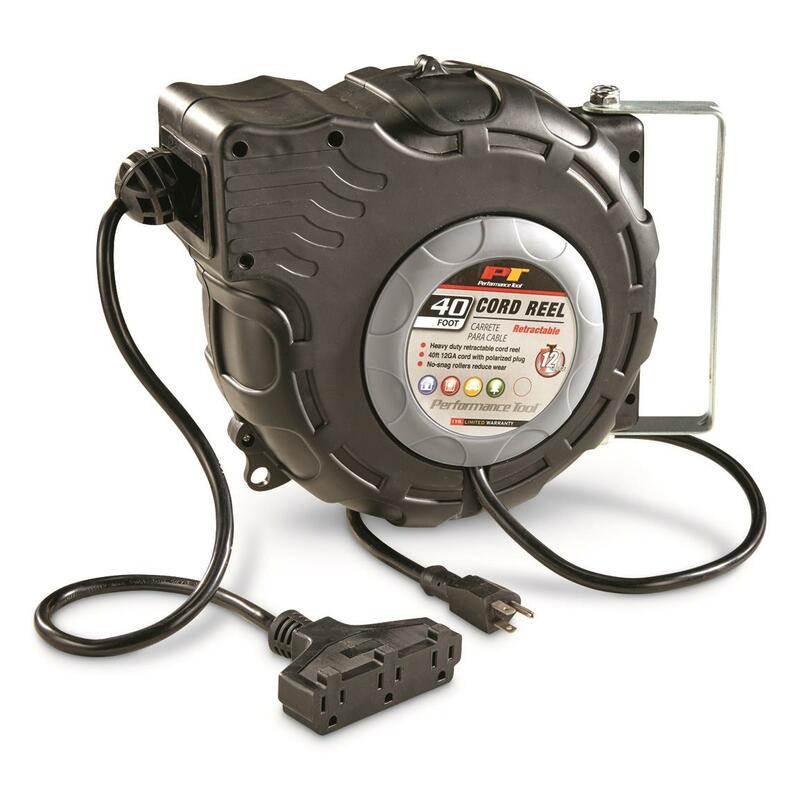 With the Performance Tool® Retractable Cord Reel, the frustrating days spent taming your extension cord are over. Simply pull up to 40' of 12-gauge cord out of the housing when you need it, and when you're through, an automatic roller guide and spring-loaded auto rewind provide a smooth and even recoil - no tangled mess, no frustration! It can be mounted to a wall and takes up little room. Even better, the triple-tap grounded outlet provides up to 15 AMPs of power, giving you the chance to have up to three devices plugged in at once. Dependable, no mess…the better gas can!